Ruffles have featured a fair amount on Style studs and Lace lately, but if you read my recent post on finding flattering tops for pear shapes, you’ll understand why – ruffles are having a moment right now, and ruffled tops are a pear shapes (my!) best friend! I know that ruffles aren’t to everyone’s taste, but I also know that those of you who do like them sometimes struggle to know what to wear them with so I wanted to use this three ways to wear to illustrate 3 simple ways to introduce a ruffle blouse into your day to day outfit combinations. 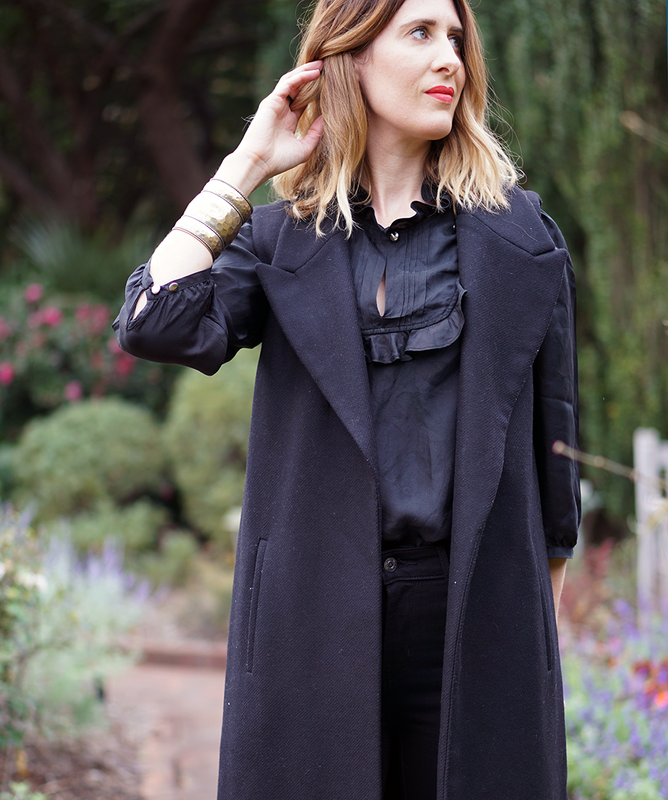 I love how well this ruffle blouse sits under a sleeveless jacket. The vest gives it a little more structure and makes it a little smarter. By tucking it into black skinny jeans and adding a pair of over the knee boots it gives the illusion that I have long legs. Brilliant! Because I have a small bust, I’m able to leave the button at the neck done up, but if I had a larger bust it would probably have been more flattering to leave it undone. 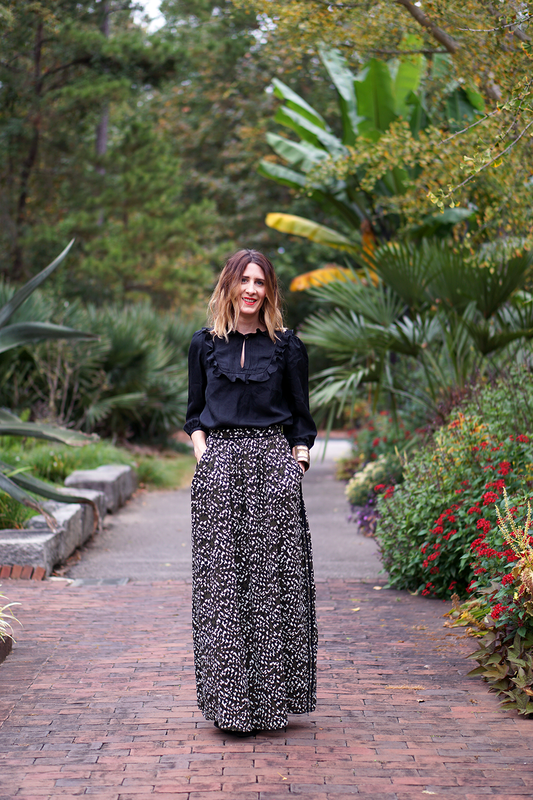 How cute doe the blouse look tucked into this maxi skirt! The skirt softens the blouse and the blouse takes what is essentially a summer skirt, into the autumn. 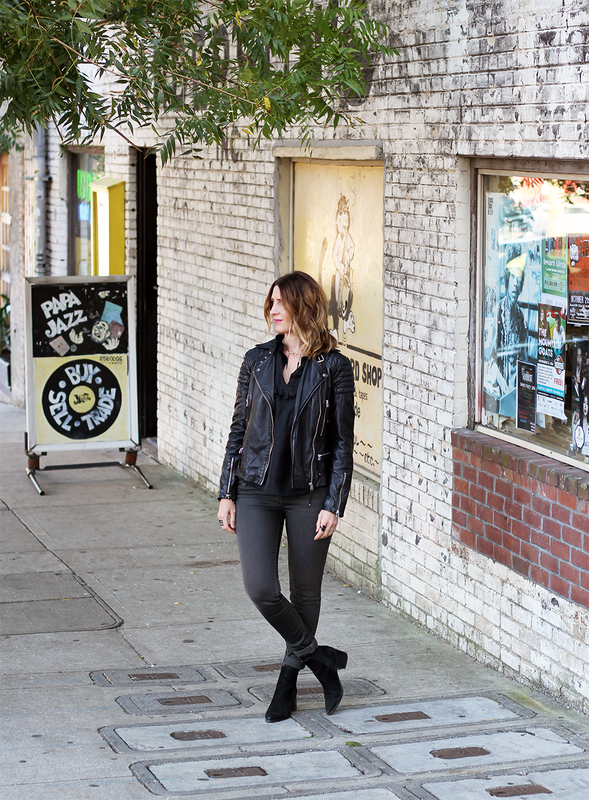 For a more relaxed, casual look I decided to team the blouse with grey denim and my trusty leather jacket. I’ve left the blouse un-tucked and have unbuttoned the neckline, too, as I feel that dresses it down a little further.